"Crappy service, incompetent tech support, customer service reps with single-digit IQs, prices kept going up and up, " Arman says. In 2009, Arman decided to switch to a satellite dish but wasn't any happier. "Different company, same nonsense, same stupidity … Eventually also told them to stuff it, " he says. After getting rid of his satellite TV in 2014, Arman bought an antenna on eBay for $12. He says he gets about 25 channels, "of which maybe three are worth watching sometimes. Same ratio as cable and dish, " he adds. That may be a little harsh. Many TV critics have pointed out that there is an abundance of quality television these days, arguing that there's so much, you couldn't begin to watch it all. Still, it's easy to see why consumers grumble about cable. The average bill is $99.10, according to consumer research released last fall by the Leichtman Research Group, and it's gone up 39 percent since 2010. Small wonder that some consumers find other ways to get their entertainment fix. So if you're looking to save money without giving up your favorite programming, you might want to investigate some of the streaming services available. Here are eight alternatives, some of which you may not have heard of. 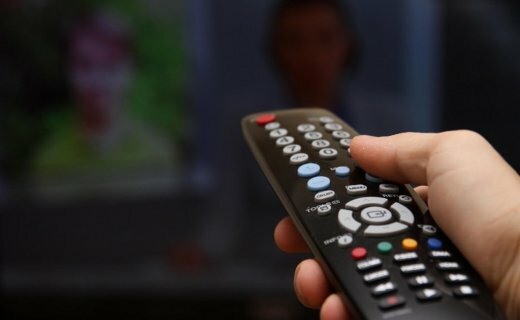 Why it's worth considering: If you want to cut cable, but you tend to watch a lot of CBS shows and can't miss your "Big Bang Theory" or the evening news (and you feel like you wouldn't miss the other networks), this may be for you. You can watch the channel live through your computer or mobile device, although first, make sure the live TV element of CBS All Access is available in your area before ditching your cable. Why it's worth considering: HBO Now is a stand-alone streaming-only service. If you're a cable subscriber with HBO, and you're a fan of HBO's original programs and movie offerings but want to ditch cable without losing HBO, this allows you to do that. Why it's worth considering: Do you have a library card? Then check it out, so you can check out (well, stream) movies, not to mention music and books. Hoopla Digital has partnerships with more than 400 library systems across North America. There's no live TV, of course, so it isn't close to being a true substitute for cable, but get rid of cable and combine this free service with another paid service like CBS All Access or HBO Now, and you might be pretty happy with your entertainment options. Cost: $9.99 (existing subscribers may be paying a little less). Why it's worth considering: Netflix is arguably the most famous of the streaming services, and with 74.8 million subscribers around the world, it obviously has its share of fans. It's known for having a vast library of both commercial-free movies and television series, and in recent years, it's gained a lot of attention for its original movies and TV series, like "Orange is the New Black" and "House of Cards." On the other hand, if you give up cable for Netflix, no more news or, say, first-run episodes of "The Middle" or "The Muppets." Cost: $7.99 a month ($11.99 a month if you want commercial-free programming). Why it's worth considering: Many network TV episodes air on Hulu Plus (as well as its free counterpart, Hulu.com) the day after airing on network TV, far faster than on other streaming sites. So if you want a streaming service that can replace cable TV, this one can come sort of close. Hulu Plus also has done some original programming; for instance, it picked up the fourth season of "The Mindy Project, " which had aired on Fox. Connect or extend the cables of Televisions, Cable Modems, Satellite Receivers, Digital TV Antennas and all other F-Female equipped devices. @YuGiOhFan2016 No more satellite TV, Ill just stick to cable for better or worse.